So far I have to say I am enjoying this game, I know everyone is saying it’s full of bugs but what do you expect? Pretty much every game can’t have a “flawless” release, the sooner people realize this the better. There are only two bugs that irk me, the one that causes Dead Island to crash when you try to use “Rage” mode and the one with the black screen on start that happens when you use two monitors or more, which can be fixed by disabling the extra monitors. Other than those I have noticed a few crashes but nothing to stop me from playing. See my edit at the bottom. I recorded a few minutes of gameplay from Dead Island, enjoy! NOTE: As I stated in the video description, the hiccups in this video would be caused by my computer (because I was using Fraps to record) NOT Dead Island, Specs of my computer/laptop are in the description for the video as well. 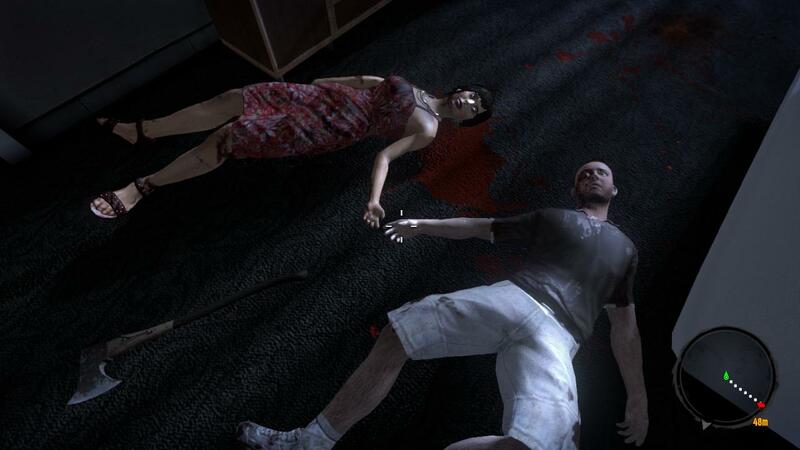 BONUS: You should recognize these two people from the announcement video of Dead Island. Click the image for the full resolution image. PS. For those looking, the Release Trailer for Dead Island is here. EDIT: The first bug I mentioned, the one where the game crashes when you go into rage mode, is now fixed, the second bug still isn’t fixed but there are a few solutions out there to fix this problem. One of them would be to simply disable your extra monitors. Another is to open the file “video.scr” found in your documents folder and in “DeadIsland/out/Settings” and edit the “monitor” setting, making it “Monitor(-1)”, remove the “!” too.